With Thanksgiving around the corner and Football season in full swing, now is the time to invest in a turkey fryer if you haven't already. We’ve compiled our top 10 turkey frying tips to help you use your fryer to its fullest, most delicious potential. 1. Reuse the oil: Depending on the size of your turkey, you’ll find that you need around 5 gallons of oil to fry it effectively. The good news is that you can reuse this frying oil with a few simple steps. 2. Use the fryer to cook other foods besides turkey: Despite its name, a turkey fryer can, and should, be used to fry other foods. You can also throw in cajun seasoning, corn on the cob and potatoes with the seafood and boil a complete meal all at once - so good! Place your uncovered turkey into the fryer pot and cover it entirely with water. 4. Use turkey fryer outdoors: Even though we tend to use our fryers during the chillier winter holidays like Thanksgiving, Christmas and Superbowl Sunday, do not move the frying indoors to beat the cold. It's just not safe. Oil above 450 degrees can begin heating up rapidly and cause a grease fire. You can always use a gas fire pit or outdoor patio heater to help provide warmth against the cold temperatures. 5. 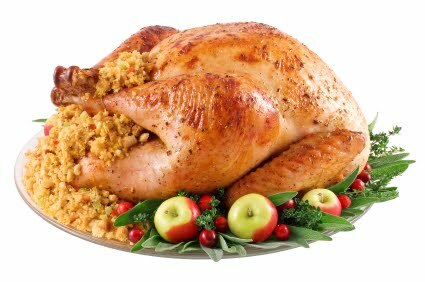 Completely thaw out the turkey before lowering it into the fryer: Placing a partially frozen turkey into a pot of hot oil is very dangerous. Give yourself enough time so that you can allow your turkey to completely thaw in the refrigerator before it’s time to fry. Lower the thawed turkey slowly into the hot oil. 6. Inject your turkey with marinade: For maximum fried turkey taste, use a syringe to inject marinade into your turkey before frying. The less injections you make, the better. To help oil drip off the turkey when you’re finished frying, make a cut on the skin at the joints of the leg and thigh. 7. Watch the temperature of the oil! When cooking with large amounts of hot oil, it’s imperative to have someone constantly monitoring the temperature of the oil to ensure it not exceed 350 degrees Fahrenheit. 8. Cook the bird 3 – 3.5 minutes per pound of meat: Typically, a turkey cooks to its desired temperature after 3 minutes per pound of meat. However, to be safe, beyond just monitoring the temperature of the oil, you’ll want to also watch the temperature of the turkey. With the stem of the thermometer at least two inches into the bird, the thigh temperature should reach 180 degrees Fahrenheit and the breast should achieve 170 degrees Fahrenheit. 9. Lay down a pan with paper towels where you can let the turkey rest, post-fry: You’ll always want to give your meat time to finish cooking and finish soaking up its juices before carving into it. Don’t wait until your hands are full and you’re pulling out the heavy bird and realize you have nowhere to put it! 10. Clean the fryer when it’s cool To have the longest turkey fryer life, make sure to clean it after each use. This also helps eliminate burning and problems with later frys. We hope these handy top 10 turkey frying tips will help your cooking, entertaining or tailgating experiences. About the Author: Derrick Riley is a Managing Partner at Patio Products USA, a subsidiary of Neighbors Marketing specializing in outdoor patio products for home or commercial use. As one of North America's largest distributors of outdoor entertaining products, Patio Products USA delivers a wide selection of outdoor fire pits, outdoor heaters and other patio heaters. I will immediately grab your rss feed to stay privy of any updates.